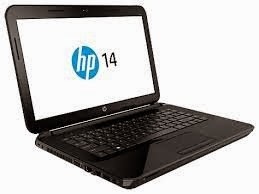 A good laptop of HP with 14 inch Screen, 2 GB RAM, 500 GB Hard disk, Windows 8.1 64 bit operating system, Intel HD Graphics and a Bag too. Most of the Laptops under 30,000 Rs not giving Laptop bag, but here HP is providing a cool laptop bag with the laptop. The Regular price of HP R113TU is 20,990 Rs, but for a very limited time period, amazon is giving for 18,800 Rs only that means you are saving 2190 Rs. If you are searching for a Laptop a Good screen that you can take in your bag and travel anywhere, then you should be pick this one. Only for now, HP and Amazon promising for whopping 2190 rs discount, which is approx 10% discount, in market you can't get the amazing HP laptop with this price of 18,800 Rs. Fantastic laptop it is. My friend using this.